April 19, 2012 SecureOnCampus.com today announced a new line of dorm trunks and footlockers designed exclusively for college students. 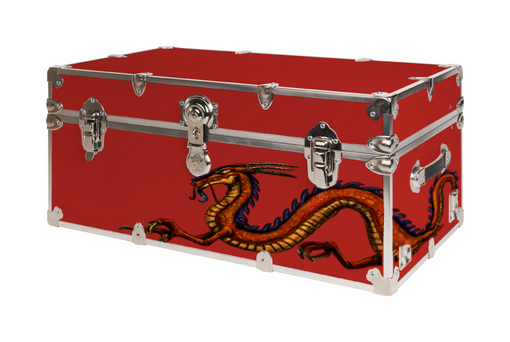 Dorm trunks are an essential part of what students bring to college with them. A well made trunk, like those offered by SecureOnCampus manufactured by Rhino, not only offer significant additional locked storage to protect student's valuables, they are also strong enough to be used as dorm furniture functioning as an extra seat or table as needed. 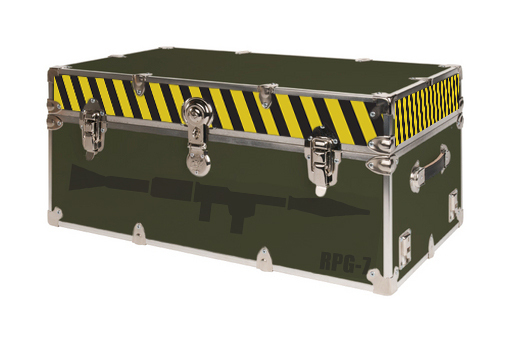 and "RPG Dorm Trunk" (Rocket Propelled Grenade launcher). 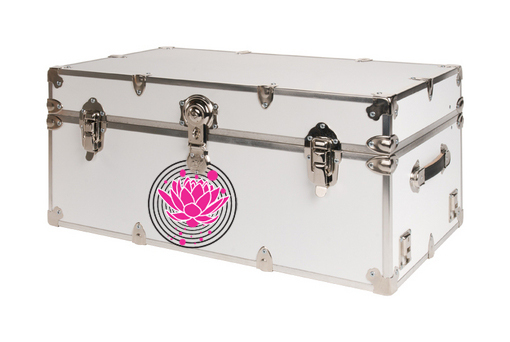 Each of these designs can be applied to any size dorm trunk. The large dorm trunkds retail for $199.99. In addition to these four unique dorm trunk designs, SecureOnCampus also offers more traditional footlockers in 17 different colors. Dorm footlockers come in Black, Brown, Forest Green, Gold, Mocha, Navy Blue, Neon Green, Neon Pink, Olive Green, Orange, Purple, Red, Royal Blue, Silver, White, Wine, Yellow and are available in Small, Medium, Large, Extra Large, Extra Extra Large, Jumbo and Super Jumbo. These high quality dorm trunks also have strong wooden trays and removable wheel accessories for more convenient storage and easy mobility.